Pisco sour cocktails at La Mar restaurant in Lima, Peru. Photo by Cathrine Lindblom Gunasekara, flickr.com. Unless you’re a tea-totaller (or allergic to eggs), you’ll probably try a pisco sour at some point during your trip to Peru. But don’t overlook the other classic pisco cocktails, which all deserve at least one sampling. Of the handful of classic pisco cocktails featured here, the pisco sour is by far the most famous. It was invented in Lima in the 1920s by American bartender Victor Vaughen Morris, owner of Morris’ Bar. It was then refined by Mario Bruiget, a Peruvian bartender working at Morris’s Bar. 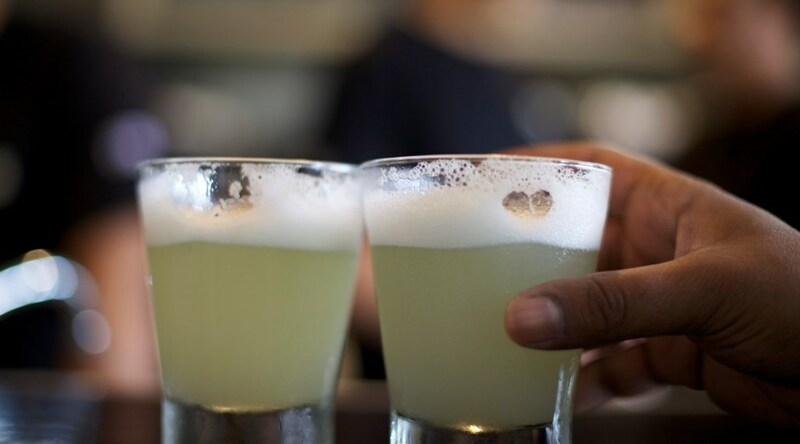 The pisco sour is a fairly simple cocktail, but takes a practiced hand to make properly. The pisco is mixed with fresh lime juice (typically Key limes), simple syrup, egg white and ice. The mixture is shaken, which helps to develop the foam on top of the finished cocktail. It is then poured and topped with a few drops of Angostura bitters. The chilcano de pisco is a refreshing alternative to the pisco sour and perfect for hot days in the jungle. It’s made by pouring two ounces of pisco onto ice in a highball glass, then adding the juice from half a lime before filling the glass with ginger ale (not 7UP or Sprite, which some Peruvian bartenders insist on using). To finish, add two or three drops of Angostura bitters. The ginger ale has to be recently opened, fresh and sparkling, otherwise the whole drink falls flat. The origins of the chilcano are unconfirmed, but the most probable explanation is that the drink was invented — or at least first became popular — in Chilca, a town in the Cañete Province just south of Lima (“chilcano” being the demonym of Chilca). The chilcano de pisco should not to be confused with the chilcano de pescado, which is a Peruvian fish soup (and, incidentally, is very good for hangovers). A tempting algarrobina pisco cocktail in Peru. Photo by [email protected] kimi, flickr.com. 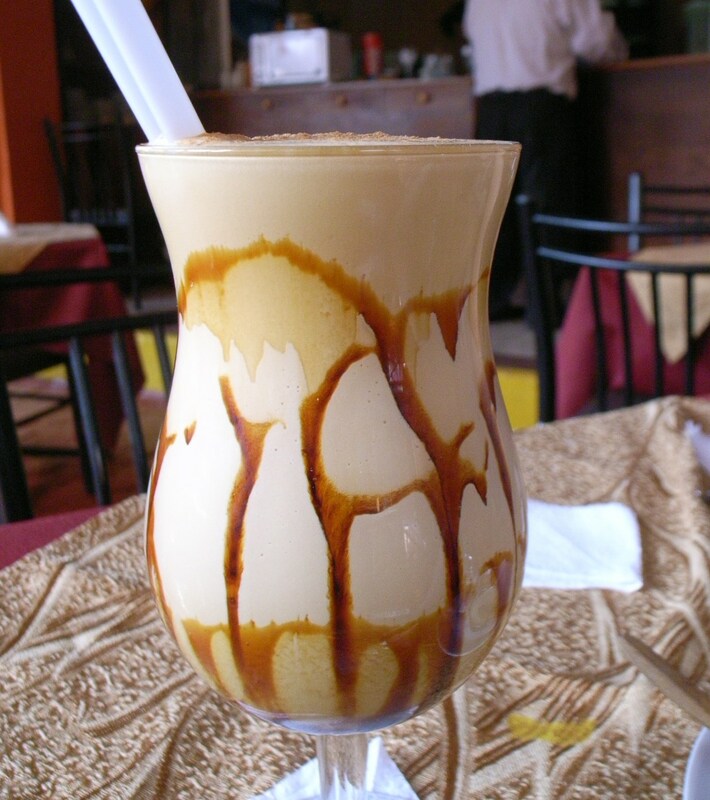 The algarrobina cocktail is basically a Peruvian version of eggnog. And, to be frank, it’s considered “a girl’s drink.” The cocktail is a mix of pisco, algarrobina syrup, evaporated (or condensed) milk, egg whites and ice cubes. This is all blended together and poured into a glass. A sprinkling of cinnamon tops the finished cocktail. The capitán (captain) is very similar to the Manhattan cocktail, but with pisco as its base liquor rather than whiskey. It’s normally made by mixing two ounces of pisco with one ounce of sweet vermouth (or equal parts, depending on preference). Pour onto ice then add a few dashes of Angostura bitters; decorate with a maraschino cherry or a lemon twist if you can be bothered. The most pervasive origin story behind the capitán is as follows: In the sierra of Puno in the 1920s, army captains made their nightly rounds, after which they sought out their favorite tipple of pisco mixed with vermouth. The drink became so popular among these captains that it gained the name capitán. A pisco punch as served by the Peruvian Embassy during London Cocktail Week. Photo by Ministerio de Relaciones Exteriores, flickr.com. Of all the classic pisco cocktails, pisco punch was born the furthest away from Peru. It was invented some 4,000 miles away by Duncan Nicol, the owner of the Bank Exchange & Billiard Saloon in San Francisco, California, at the end of the 1800s. Some sources also give credit to his bartender, Professor Jerry Burns. You can still order a pisco punch in San Francisco, and it’s becoming increasingly common on bar and cocktail menus in Peru. 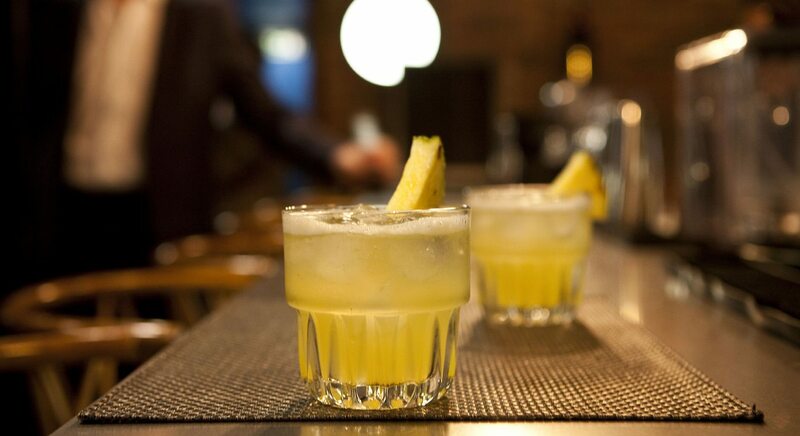 The original recipe was a mix of Peruvian pisco with pineapple, lime juice, sugar, gum arabic and distilled water. Modern versions vary, but tend to follow the original formula to some extent. Pineapple simple syrup and fresh orange juice sometimes find their way into the mix. The cholopolitan is the most modern of all the classic pisco cocktails on this list — so let’s consider it a potential future classic. It was invented in Lima in 2000 by the Peruvian bartender Hans Hilsburg. As the name suggests, it’s a Peruvian version of the classic cosmopolitan cocktail, in which pisco replaces vodka. The pisco is mixed with orange liqueur (a triple sec such as Cointreau), cranberry juice, passion fruit juice and freshly squeezed lime juice. It’s all shaken together with ice cubes before being poured into a martini glass. Piscola (pronounced piss-cola, which is unfortunate) is a popular pisco drink in Chile. It’s an incredibly simple highball cocktail that mixes Chilean pisco with some kind of cola. This is often Coca-Cola or a similar alternative, but can also be a soft drink like ginger ale, tonic or Sprite. It’s poured on the rocks and the ratio of pisco to cola can be anywhere from 1:3 to 1:1, depending on how generous the bartender is (or how drunk you want to get). The same drink exists in Peru, but under a different name (partly due to the intense rivalry between the two countries — especially when it comes to pisco). Peruvians refer to the drink as a Perú Libre, being a mix of Peruvian pisco (of course), cola and normally a couple of lime wedges. PreviousHow Much Does Hiking the Inca Trail Cost?